Surviving family members remained in the midst of grief nearly a week after a powerful earthquake jolted Japan's northernmost main island Hokkaido. The magnitude 6.7 earthquake on Sept. 6 claimed 41 lives, including Maika Takimoto, 16, the youngest victim of the all. Her 17-year-old brother Temma was left alone as other family members were also killed in the disaster. Temma, a resident of the hardest-hit town of Atsuma, was wrenched from his sleep at 3:07 a.m. by a strong jolt and found himself thrown into a rice field in front of his house. He looked around in the darkness but could not find his sister Maika, who was also sleeping on the second floor of the house. He could not find his 39-year-old father Takuya, nor his great-grandmother Yoshiko, 95, both of whom were sleeping on the first floor. With an injured right ankle, Temma was taken to hospital by helicopter. When he returned after dawn, he found his house totally collapsed. Desperate to find his family, Temma tried to join the search operation with police and Self Defense Forces personnel, but he was stopped because it was dangerous. A while after the search began, his sister's foot was seen in the mud. Temma called out her name with other relatives, but there was no reaction. Rescuers scraped out the mud by hand, instead of using heavy machinery as initially planned. It was 7:30 p.m. on Sept. 6, 16 and a half hours after the quake, when Maika was found near her bed appearing as if she was still asleep. "She persevered and endured (the disaster)," Temma recalled. Maika and Temma were raised in a single-parent family. "Her father loved his family and she was so close to her brother," said Kairi Yamaguchi, a 15-year-old close friend of Maika. "I love my brother," Maika often told Yamaguchi. Maika was a member of a brass band club at her junior high school and played the flute. She also participated in a comedy show in a school festival, said another junior high school friend. "They were a happy family, helping each other," a 63-year-old relative said. Maika often prepared meals instead of her elderly great-grandmother, he said. Temma said Maika is still his "best sister," adding, "I have to live for my family too." A wake for the Takimoto family was held on Tuesday night in neighboring Tomakomai, with many relatives shedding tears for their sudden loss. "I'd just visited the three during the summer holidays. Both Yoshiko and Maika seemed well. Our memories won't fade," said Takahi Sasaki, a nephew of Yoshiko. The altar had photos of the three smiling and was decorated with white and yellow flowers, according to people who attended the wake. The room was so full that some people had to sit in an adjoining room, they said. 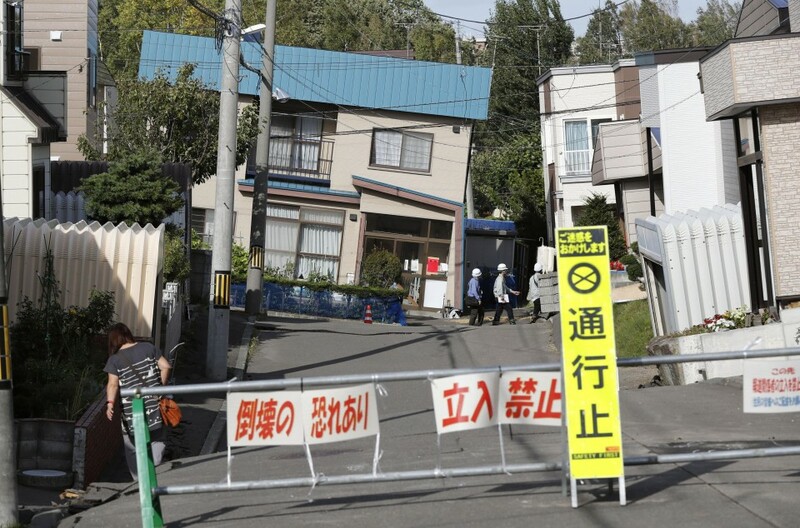 The deadly quake injured over 680 people and damaged or destroyed a total of 218 buildings across Hokkaido as of Wednesday, while 1,630 people are still staying in shelters, according to the regional government. The quake also resulted in massive infrastructure damage that disrupted power and water supplies, and continues to hamper recovery. The Hokkaido government has asked households and companies to cut electricity use by 20 percent to avoid rolling blackouts. 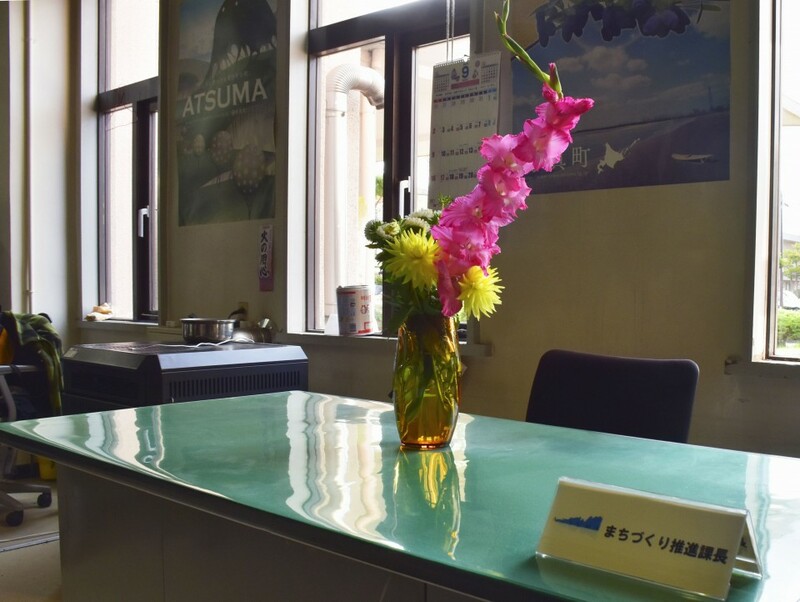 Water supply has gradually been restored to the over 30 municipalities that saw outages, but hardest-hit Atsuma still faces difficulties as its filter plant was damaged. It is expected to take about a month to restore it. Hokkaido has also seen a sudden drop in temperatures recently, putting the health of evacuees at risk. Disaster management minister Hachiro Okonogi directed government ministries and agencies to take measures for the chilly weather. "The living environment of shelters and health care for evacuees are of particular concern," he said. Chief Cabinet Secretary Yoshihide Suga said Wednesday that about 420 temporary public housing units are being prepared for those who lost their homes.